The good news: you’ll handle a lot of fish. The bad news: you’ll handle a lot of fish. 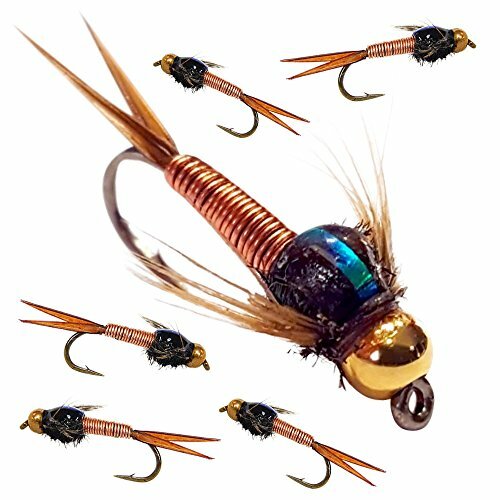 The Bead Head (BH) Copper John pattern is the #1 fly in the world for one reason…It catches fish like none other. 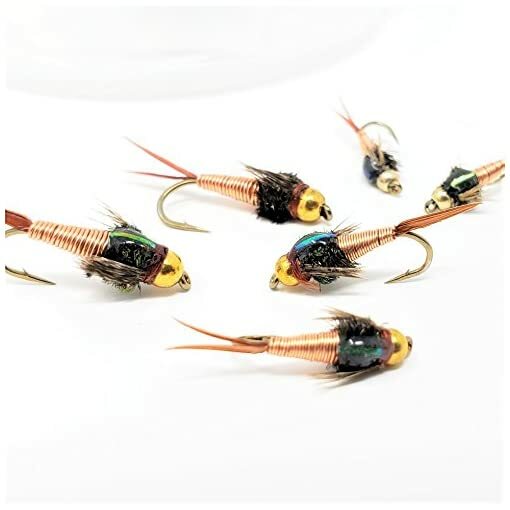 Copper John’s imitate a trout’s #1 food source, nymphs. Year round trout feed off nymphs of all sizes. 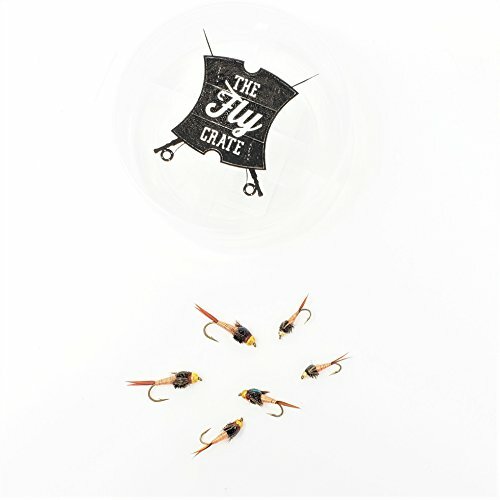 This fly assortment will cover all the bases and land you bull trout. Caught in branches and landing trout after trout, the copper john fly still looked brand new. Sealed and finely constructed with only the highest quality materials, these were built for tough use. This legendary trout fly assortment kit features copper john flies for fly fishing. 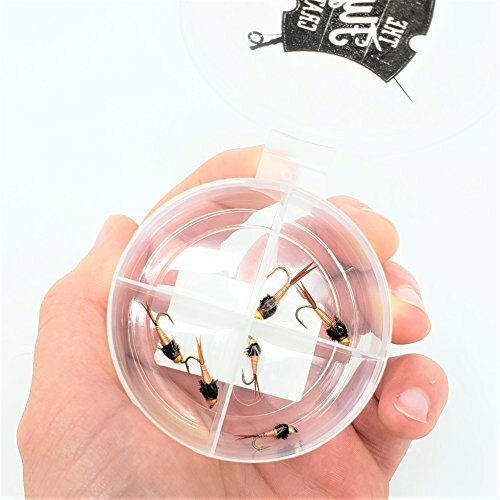 Tied out of premium materials and name-brand Daiichi hooks (One of the top rated hook manufacturers), these flies can withstand dozens of strikes. 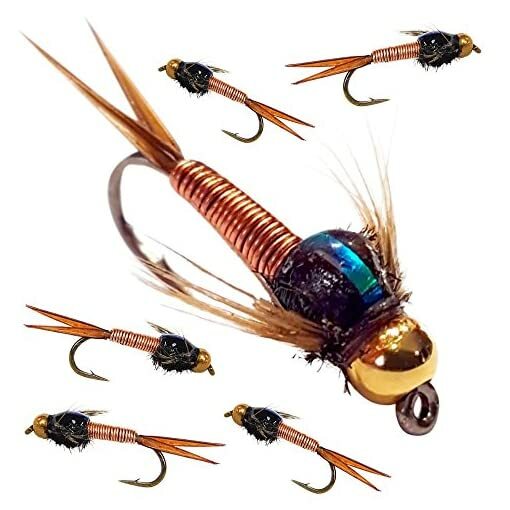 These flies have become a world-renowned go-to fly for trout. Give them a go! 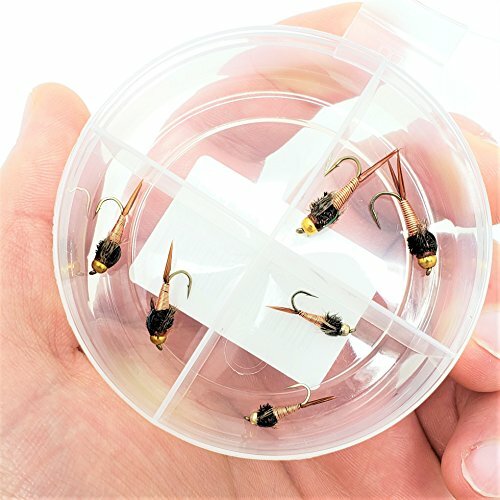 Try them yourself and you’ll see trout can’t leave them alone! 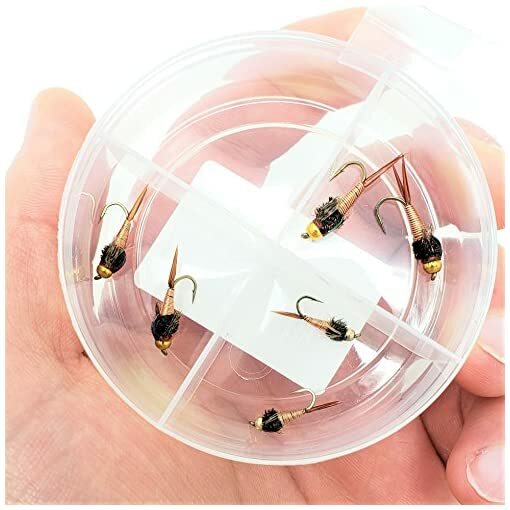 Catch trout year round! 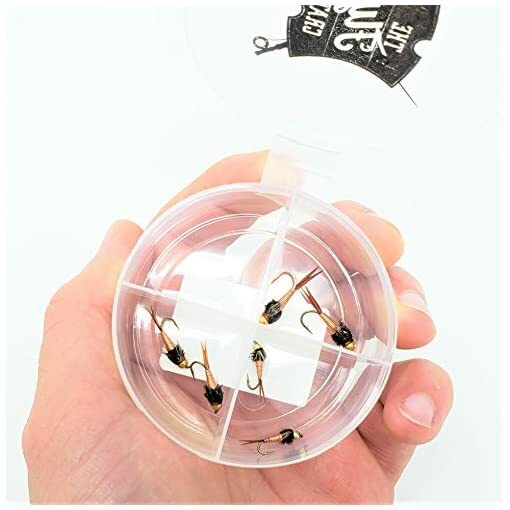 Essential for late Summer, Fall, and Winter fly fishing. 100% Satisfaction Guarantee – you’re protected by a 30 day, no-questions asked money back guarantee!